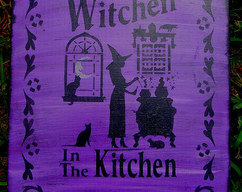 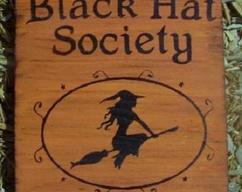 What a spooky and detailed custom handpainted sign by me! 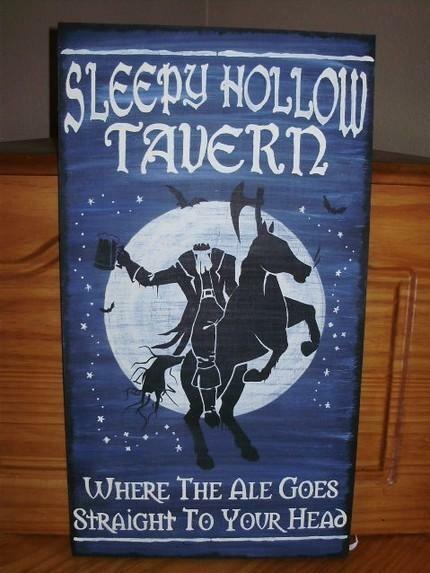 "Sleepy Hollow Tavern Where the Ale Goes Straight To Your Head" is painted a cloudy night time blue with white lettering and design! 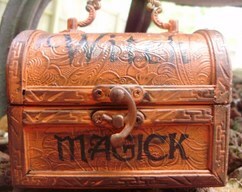 It is aged to look olde and worn and sealed. 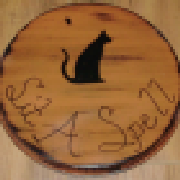 It measures approximately 12" x 20" and will arrive signed and dated by me.